Published in 1848, at a time of political upheaval in Europe, Karl Marx and Friedrich Engels's Manifesto of the Communist Party was at once a powerful critique of capitalism and a radical call to arms. It remains the most incisive introduction to the ideas of Communism and the most lucid explanation of its aims. Much of what it proposed continues to be at the heart of political debate into the 21st century. It is no surprise, perhaps, that The Communist Manifesto (as it was later renamed) is the second bestselling book of all time, surpassed only by The Bible. 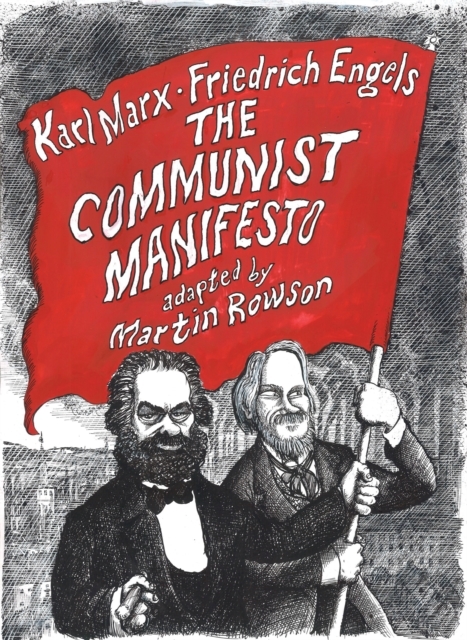 The Guardian's editorial cartoonist Martin Rowson employs his trademark draftsmanship and wit to this lively graphic novel adaptation. Published to coincide with the 200th anniversary of Marx's birth, The Communist Manifesto is both a timely reminder of the politics of hope and a thought-provoking guide to the most influential work of political theory ever published.